New publication features research by Island Conservation and partners on lessons learned in conservation. 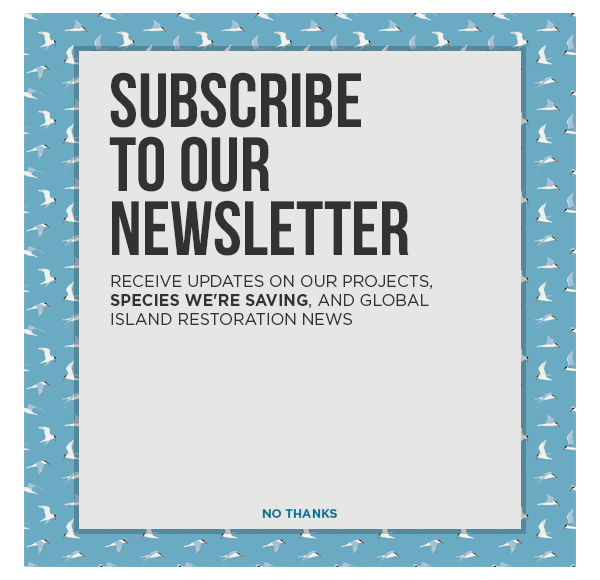 In 2017, at the third Island Invasives Conference, held in Dundee, Scotland, Island Conservation staff and experts in the field of invasive species management came together to discuss the successes, failures, and lessons learned from restoration. Island Conservation staff members gave a number of talks to discuss past projects and the future of restoration. At the conference, Island Conservation GIS and Data Program Manager David Will presented on lessons learned from the restoration project carried out at Desecheo National Wildlife Refuge, Puerto Rico in 2012. The team unsuccessfully attempted to remove invasive black rats. Four years later, Island Conservation and partners returned and utilizing best wildlife management practices, successfully removed invasive rats. Further, a case study presented by Island Conservation’s Richard Griffiths gave a talk demonstrating a comparative review between four successful invasive rat removal projects and four unsuccessful removals and the lessons learned for future conservation efforts. A recent publication of these and other case studies demonstrate the tremendous strides in wildlife management which include an increase in operational size, global reach, and land area. In recent decades land size of islands where we are capable of removing invasive species has increased from a few hectares to over 100,000. This also means that a greater diversity of species is being saved from extinction. With all of these advances, comes a higher cost which is why donating to wildlife conservation and management organizations is crucial to help prevent extinctions.